In this scene, a steamship is traveling toward the viewer, on the St. Johns River. To the left, there are pine, palm, and deciduous trees growing on the river bank. 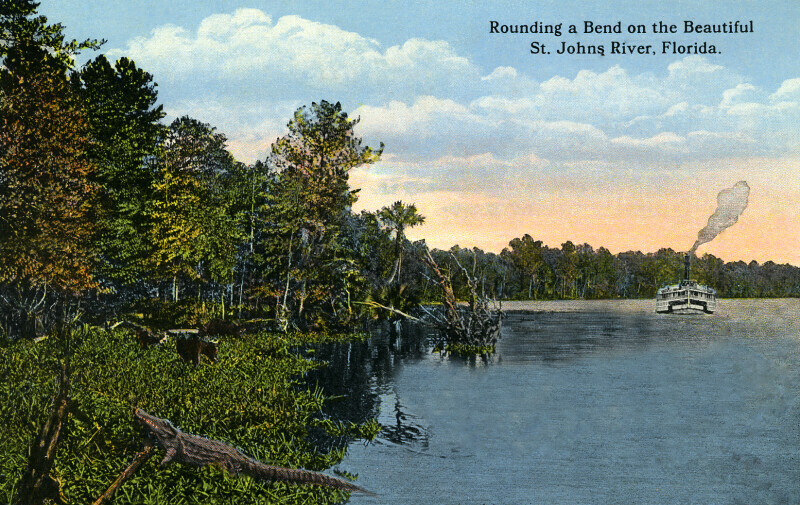 In the bottom left corner, there an alligator resting on the river bank. In the bottom right corner, there appears to be a flying bird.